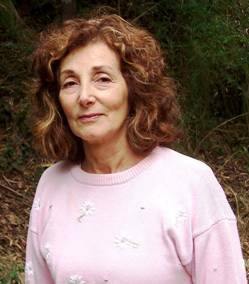 Born in post-war Paris in 1947, Anna Rosner Blay emigrated to Melbourne, Australia in 1949 with her parents, who had been rescued from the Holocaust by Oskar Schindler. Anna is a writer and editor, and has now moved from teaching English and French into the world of publishing, joining her partner Louis de Vries in Hybrid Publishers as Managing Editor. Anna’s book Sister, Sister was short-listed for the Age Book of the Year and the NSW Premier’s Literary Awards. Her latest book, Not Paradise, was published in May 2004. Anna has three grown-up sons and five grandchildren. 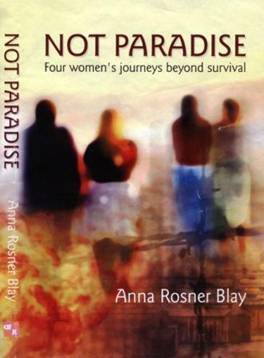 Not Paradise draws together the moving and revealing stories of four women who emerged from the Holocaust and strove to reconstruct their shattered lives on the opposite side of the globe, in Australia. The author explores their tenacity to hold on to life and keep moving forward – and entwines their stories with her own personal journey beyond the loss and despair of a broken marriage – to weave a compelling and fascinating enquiry into how we understand the past, where we find the courage and resilience to continue in the face of suffering and hardship, and how we discover a way to move forward, beyond trauma, to a life of hope and fulfilment.